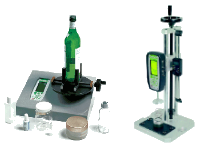 Our Centor Series digital force gauges are the most versatile and complete range of force testers. These digital force gauges can be supplied with internal or external load cells and are delivered with a certificate of calibration. Using the Centor technology, the digital torque gauge Centor W has a very large graphic display and shows a maximum amount of information for more efficient torque measuring. It is the ideal tool for torque measurement. Our force gauge Centor series is available in table top version if you need an external sensor and doesn't need to mount the gauge on a stand. Our digital and analog pull testers have been specially adapted for measuring the strength of hundreds of types of fastenings in the areas of roofing, building, general industry, etc. Designed for pull-out tests and non-destructive tests. 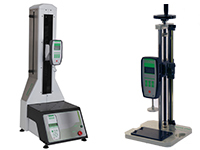 To carry out a precise, repetitive torque measurement, it is often necessary to use a torsion test stand. 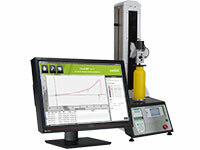 Our Twist series torsion test stand with combined Torque/angle measurement provides this function. Andilog Technologies has today one of the most important range of clamps, fixtures, platens, grips... in stock ready to be shipped. Our softwares are designed to download easily the data from our force and torque gauges. Additional force load cells and sensors are recognized by our instruments and can complete a set of force and torque measurements at a very reasonable price.